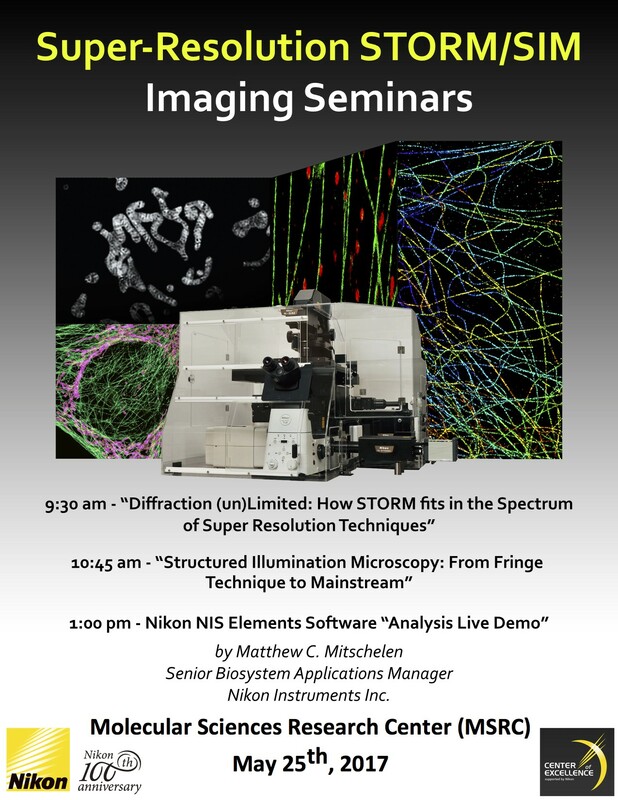 NIEF hosted “Super-Resolution Fluorescence Microscopy” seminar delivered by Nikon staff, Dr. Mattew C. Mitschelen. Super-resolution microscopy is another form of light microscopy in where the limitations in spatial resolution caused by the diffraction of light are overcome. The different technologies in super-resolution microscopy are based on structured illumination microscopy, stimulated emission depletion, or single molecules localization and composition. The application of this type of technology has helped to visualize ultra-structures at resolution levels of tens of nanometers. In 2014, the pioneers in developing this type of microscopy technique were jointly awarded the Nobel Prize in Chemistry.